Just backup your iPhone with iTunes, but have no idea about where the iPhone backup location is? Finally, you find the iPhone backup location, but don't know how to change the iPhone backup location? Don't worry. It's easy to handle it. This article helps to solve all your problems about iPhone backup location. Just read on. iTunes backups are stored locally on your computer. They are placed in username/Library/Application Support/Mobilesync/Backup (Check the different location for backup in different OS in the table). Simply navigate to the relevant folder in your Finder app. 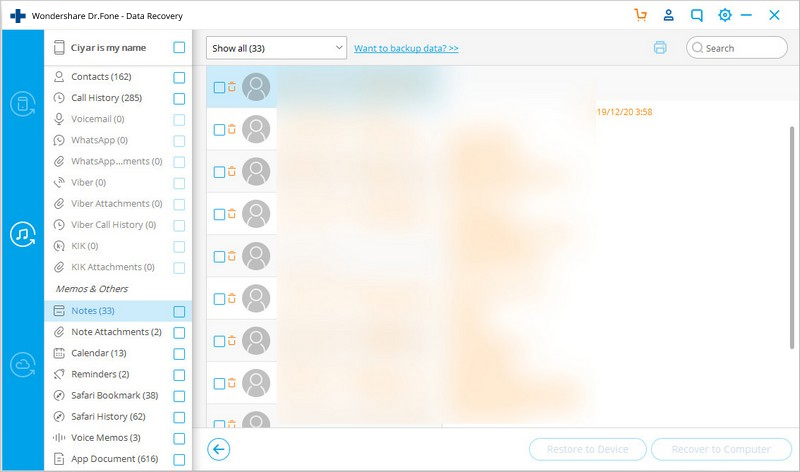 Each folder under Backup contains a single backup. The folders can be copied and moved anywhere on the computer, unfortunately without the proper software, it is impossible to glean any meaningful information from these files. (The "~" represents the Home folder. If you don't see Library in your home folder, hold Option and click the Go menu. Note:iTunes doesn't allow you to view iPhone Backup Files on Mac and Windows because of the data format. On your iPhone, select ettings > iCloud, then tap Storage & Backup. In Mac, go to Apple menu > System Preferences, click iCloud, then click Manage. In your Windows computer: Windows 8.1: Go to the Start screen and click the down arrow in the lower-left corner. Click the iCloud app, then click Manage. Windows 8: Go to the Start screen and click the iCloud tile, then click Manage. Windows 7: Choose Start menu > All Programs > iCloud > iCloud, then click Manage. So, with the above introduction, we believe it will be easy and clear to find iPhone backup location on Windows and Mac. But you can'd read your iTunes and iCloud backup files. In order to solve this problem, dr.fone - Recover (iOS) can perfectly help you to view your iTunes and iCloud backup files for free. When you find your iTunes backup files on your computer, you will find you can't open it. This is because the iTunes backup is a SQLITE file. If you want to view your iTunes backup for free or selectively restore iTunes backup to your device, then you can try dr.fone - Recover (iOS). This program allows you to view and selectively restore iTunes backup to your iPhone and iPad. What's more, the restore process won't overwrite your original iPhone data. World's 1st iTunes backup viewer and extractor. View iTunes backup for FREE! Selectively restore what you want from iTunes backup without overwriting the original data. Fully compatible with the latest iOS 12. Step 1. Run dr.fone, connect your iPhone to computer,then select "Recover from iTunes backup File". 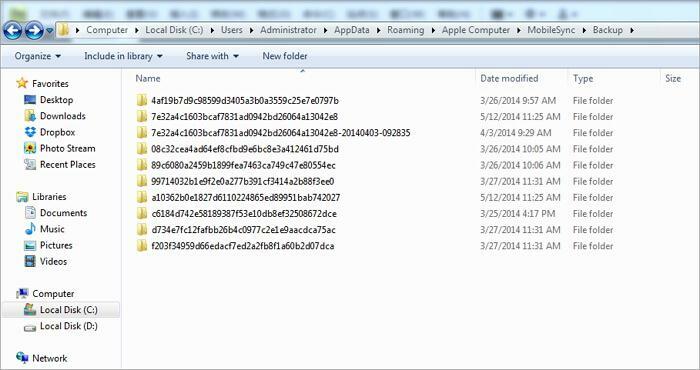 dr.fone will detect your iTunes backup files and list them on the below window. Step 2. Just choose one iTunes backup file you want to restore, and click "Start Scan" to extract your iTunes backup. Step 3. When the scanning process is completed, dr.fone will list all your data on the interface. Now view your iTunes backup easily. 2.2 How to individually restore or export iTunes backup without losing data. If you want to export the iTunes backup to your computer as a readable file, just tick what you want and click on "Recover to Computer". 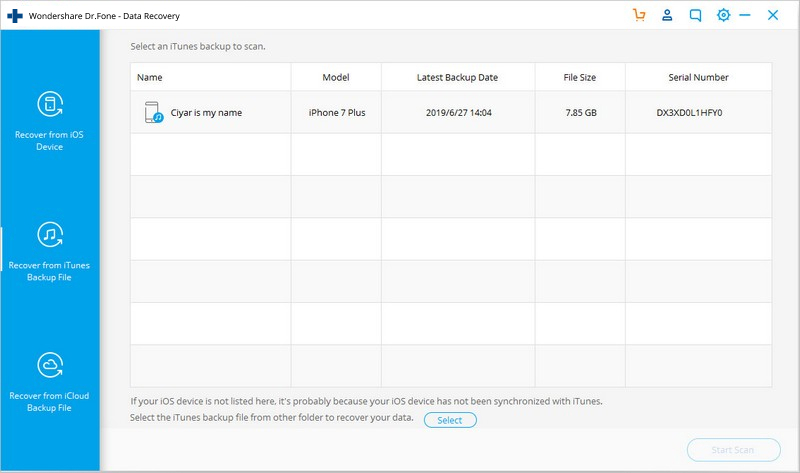 You can also select the needed files and click "Restore to Device" to restore your iTunes backup to your iPhone without overwriting the original data. Part 3. How to Change iPhone Backup Location? Your Disk C runs almost of space, so you want to change the iPhone backup location for somewhere else to free up the Disk C? Prefer to store your important data, like iPhone backups on the SSD, not Disk C? 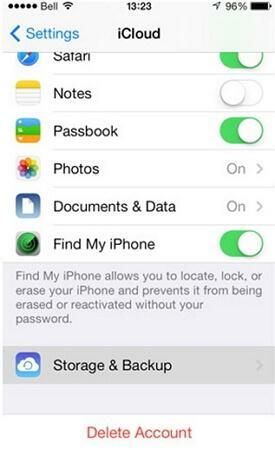 No matter what the reason is, here is the way you can change iPhone backup location. Note: Here, I focus on change iTunes backup location on a Windows computer. As for iCloud backup, it's saved in Apple server. You can change iCloud account if you like. Just click Settings > iCloud > Account on your iPhone. Log out your iCloud account and log into another one. Step 2. Navigate to the folder where your iPhone backups are. Copy all backup files and paste them to any folder you want to save iPhone backups. For Example, You can save iPhone backups on Disk E:iPhone Backup. Step 3. Go to the lower left corner and click Start. In the search box, enter cmd.exe. The cmd.exe program shows up. Right click it and choose Run as administrator. Step 4. 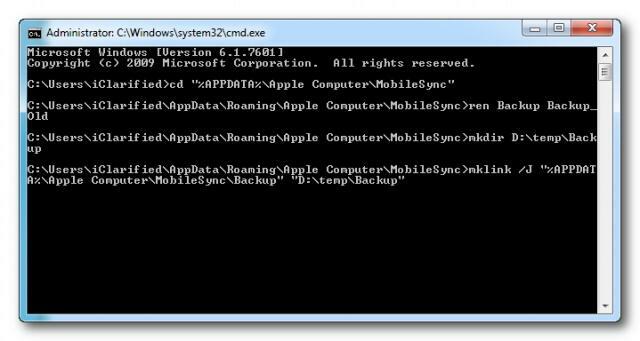 In the pop-up command prompt, enter a commander: mklink /J "C:Users(username)AppDataRoamingApple ComputerMobileSyncBackup" "D: empBackup". Step 5. Then, try backing up your iPhone with iTunes and check whether the backup file will be saved in your wanted folder. Step 1. Make sure iTunes is not running. Step 2. Download and extract the junction utility on the computer. Step 3. Unzip Junction.exe to your username folder, which is usually found in C:Documents and Settings. Step 4. Go to the iTunes backup location folder and move backup files to another folder, like G:iTunes backup. Step 5. Click Windows + R. When the dialog comes out, type cmd.exe and click OK. Step 6. In the command prompt, create an NTFS junction point, for example. cd Desktop junction "C:Documents and Settings(username)Application DataApple ComputerMobileSyncBackup" "G:iTunes Backup"
Step 7. Now, backup an iPhone backup with iTunes and check whether the backup file will be saved in the new folder directory. Step 2. Go to ~/Library/Application Support/MobileSync/Backup/. Copy all backup files to your desired drive, like External. Step 4. Use iTunes to backup your iPhone. Then, go to the new backup folder to see whether the backup file is there or not. 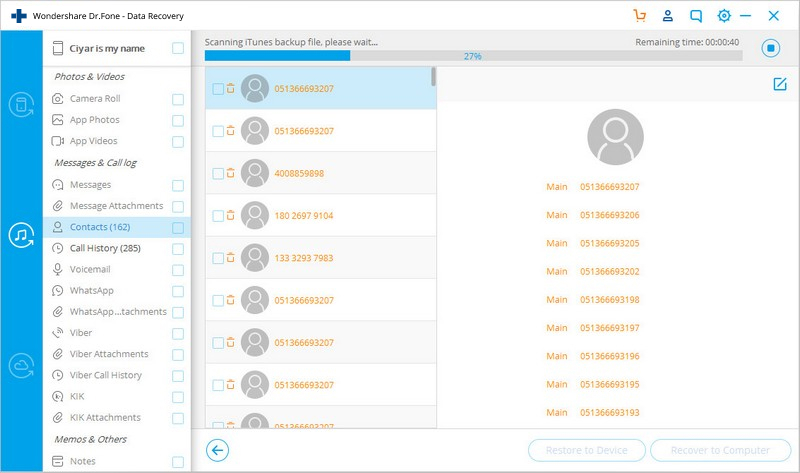 When comes to deleting iPhone backup, you have plenty of reason for it. Here, I list out some of them. 1. Get confused every time you select a backup file from a lot. 2. Tens of thousands of files are in your iPhone backup area, most with old dates from previous backups. Want to delete them to free up space of your computer. 3. iTunes could not back up the iPhone "iPhoneName" because the backup was corrupt or not compatible with the iPhone. Want to delete the backup for this iPhone, then try again. 4. Cannot backup your iPhone, because it says you have to delete the old backup first. 5. Get a new iPhone, but find it's incompatible with the old iTunes backups. 6. The backup fails and it tells you to delete the backup. 1. iCloud backup memory is almost full and can't backup your iPhone. Thus, you have to delete the old backups for the new one. 2. Decide to delete iPhone backup from iCloud because it contains a corrupted file. 3. Recently upgrade to the new iPhone, and back your old one up and restored it to the new one. Now you keep getting notifications that you're running out of storage in iCloud. Deleting a backup is just as simple as creating one with one exception, it isn't possible to delete a backup directly from iTunes. 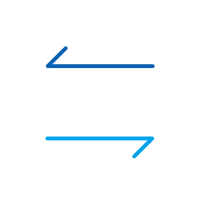 To delete a backup you need to navigate back to where they are located in the filesystem (username/library/Application Support/Mobilesync/Backups). 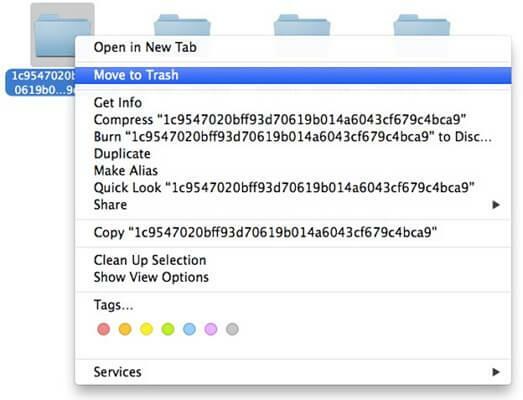 Then, right click on the backup that you want to delete and click Move to Trash. The next time that you empty your trash, the backup will be gone forever. Note: After you delete all your available information all of your information will be lost!!! Deleting an iCloud backup is much easier than deleting one that is on a physical computer! Step 1. You need to open up Settings on your iPhone and click on the iCloud option. Step 2. Tap the Storage & Backup option. Finally, tap on Delete Backup and you iCloud backup should erase itself. In this article, we're going to take a look at some of the best methods used to backup iPhone apps and app data. Is it possible to undelete iPhone backup files? The answer is YES. Read this guide to learn how to undelete iPhone backup in Windows or Mac OS in 2 steps. I locked myself out of iPhone and want to backup data on locked iPhone, is there a way to backup locked iPhone? This guide is to backup locked iPhone data! Is it possible to restore iPad mini from iPad backup? Yes. Read this article to learn how to restore iPad mini from backup of iPad, iPhone or iPod touch.